This is a super easy preparation that can be made to eat on its own, or served as a side with dinner. Although the name of these potatoes may lead you to think they are little sodium-loaded-ticking-time-bombs, they are not. They actually have a very creamy texture and are just salty on the outside, where only the skins of the potatoes have absorbed the salt. My favorite part about making these is watching them dry: as the water evaporates, tiny salt crystals crusts form all over the skins! 1. Place the potatoes in a medium sized pot with enough salt water to cover them by 1 inch. Bring to a boil, then reduce heat and simmer until tender, about 15-25 minutes depending on size of potatoes. 2. 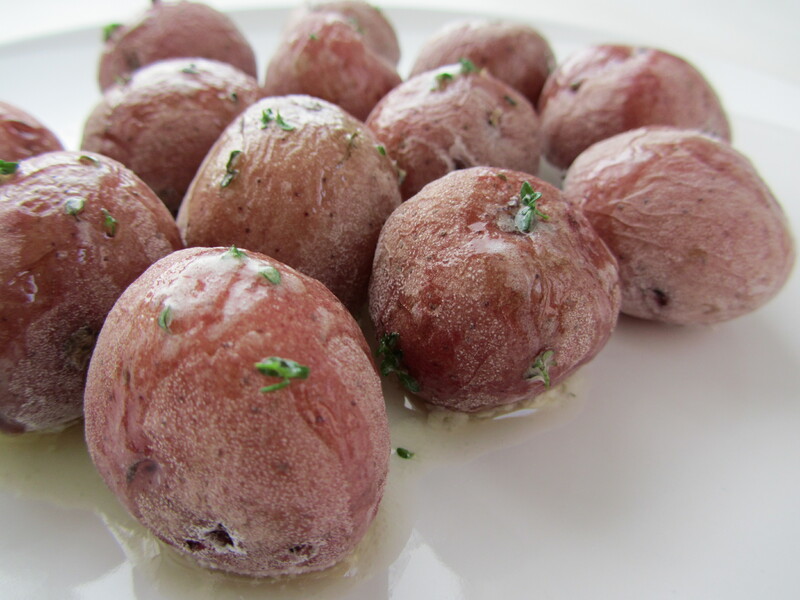 Drain potatoes, air-dry in a single layer to allow the salty crust to form. 3. Serve with a drizzle of melted butter and a sprinkle of fresh herbs if desired. * Choose potatoes that are similar in size so that they cook evenly. * Also, select ones with their skins intact. Cracked skins will allow too much of the salt water to penetrate the potato = overly salty potato.